Calling all steam railway enthusiasts! Best self-catering cottages for train lovers. 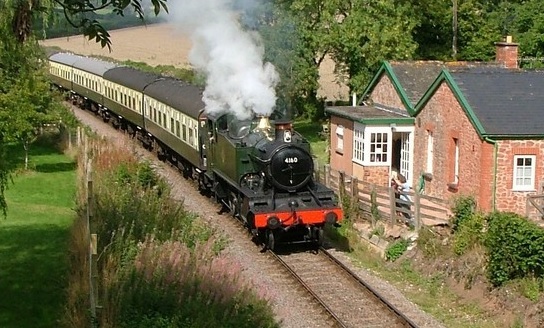 Published on September 16, 2013 in Age of Steam, cottage holidays UK, Cottages for rail enthusiasts, Heritage railway, inspiration, Railway cottages, Self catering holidays, Steam railway and unique holiday properties. Closed Tags: Age of Steam, Cairngorms, Norfolk Broads, Rail enthusiasts, self-catering cottages, Somerset, Steam Railway. 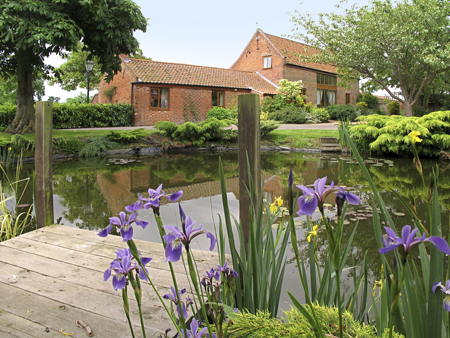 East View Farm luxury cottages are two beautifully decorated barn conversions set within ten acres of landscaped grounds, within the Norfolk Broads National Park. Perfect for a family holiday, they are Enjoy England five star rated and epitomise luxury modern living mixed perfectly with traditional features. Sounds good, but what’s all this got to do with steam trains, right? Well… this property is totally unique, as close to the properties there is the 7 ¼ gauge, miniature Ashmanhaugh Light Railway. 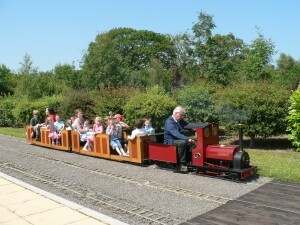 The railway has three circuits of track, a signal box, platform, carriage shed and ticket office; a perfect afternoon’s entertainment, especially for kids. You might catch the team at work as well to pick their brains! Great fun for steam lovers and children alike! The cottage also offers Driver Experience Courses, so you can learn to drive a steam train during the day, then in the evening you can treat your family to a joyride! These make fantastic gifts at Father’s Day and Christmas for rail enthusiasts. And if steam’s not your thing, there are diesel and electric trains to ride too. If that’s not enough, there are also 3 other heritage lines: the Barton House Railway, a 7 ¼ inch gauge in Wroxham, Bure Valley Railway which is Norfolk’s longest 15 inch gauge line, and the North Norfolk Railway’s Poppy Line, which offers a 10.5 mile round trip on a full-sized steam or vintage diesel train. Railway Cottage in Somerset is a lovely, single storey stone cottage which was originally built for none other than Isambard Kingdom Brunel, who was building the adjacent West Somerset Railway. 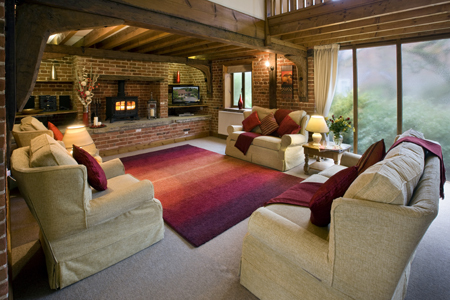 Nowadays, the cottage has been entirely modernised to a luxury level with beautiful furnishings and a relaxing hot tub in the garden, but still retains some of its heritage features. Perfect for train spotters, you’ll be able to watch the engines chugging right past the front of the house, within only a few metres of the window. The views are stunning all the way round; to the rear of the house you can look over the beautiful Quantock Hills. This cottage is also perfect for mini-trainspotters, with a huge range of children’s toys available and a swing set and slide in the completely enclosed garden. Enjoy an afternoon watching the trains chug by! 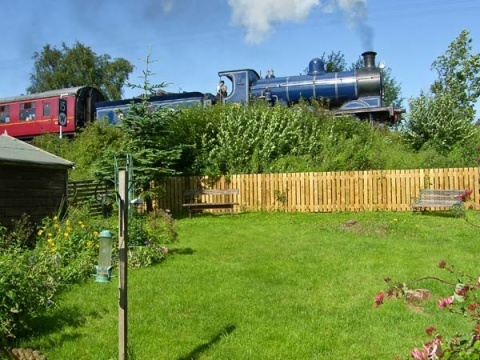 Steam Cottage, set within the stunning surroundings of the Cairngorms National Park in Scotland, is another brilliant choice for lovers of all things steam! This welcoming and traditional cottage is in an area which is fantastic for walking, hiking and all manner of outdoors sports, as well as touring the spectacular mountain ranges and exploring castles. In fact, you may well recognise the area as the setting for TV’s Monarch of the Glen! All this aside, we think the very best thing about Steam Cottage is what’s at the bottom of the garden… Strathspey Steam Railway runs right past the bottom of the large, private garden; you can spend a relaxed afternoon waving to the jolly passengers, or indeed take a ride on the steam trains yourself! If these cottages tickle your fancy, why not check out our other cottages for railway enthusiasts?